Bead, acrylic, blue and white, 31x22mm single-sided double-drilled Mahjongg tile. Sold per pkg of 12. Item Number: H20-6909PB Have a question about this item? 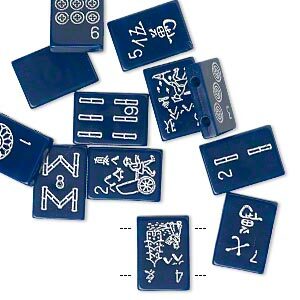 Acrylic Mahjongg tile beads are true-to-life. 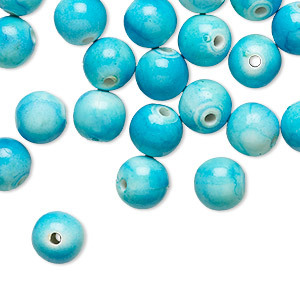 The double-drilled beads have smooth surfaces with blue backgrounds and white designs and numbers. Machine-made for consistent size, shape and color. Each bead in the package has different designs and numbers. 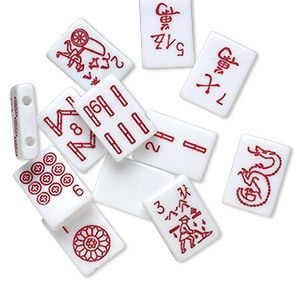 Bead, acrylic, white and red, 31x22mm single-sided double-drilled Mahjongg tile. Sold per pkg of 12. 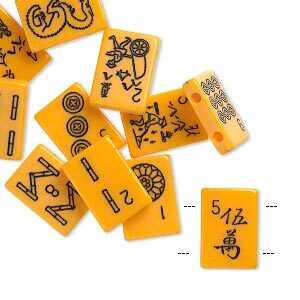 Bead, acrylic, yellow and black, 31x22mm single-sided double-drilled Mahjongg tile. Sold per pkg of 12. 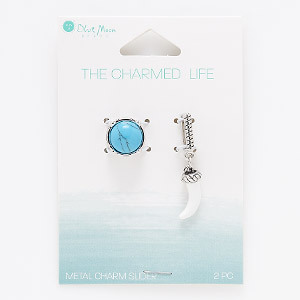 Slide mix, acrylic / silver- / antique silver-finished "pewter" (zinc-based alloy) / steel, blue and white, 13mm round and 34x7mm rectangle with tusk and 10.5x2.5mm hole. Sold per pkg of 2. 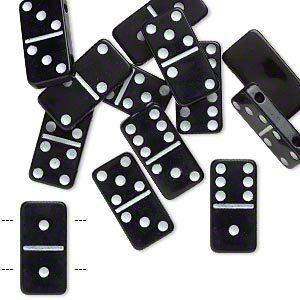 Bead, acrylic, black and white, 40x20mm single-sided double-drilled domino. Sold per pkg of 12. 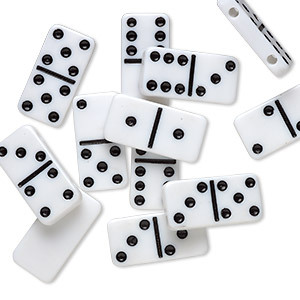 Bead, acrylic, white and black, 40x20mm single-sided double-drilled domino. Sold per pkg of 12. 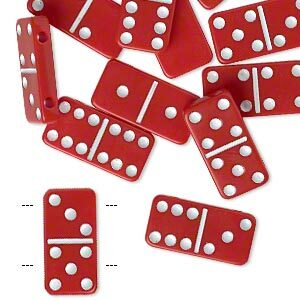 Bead, acrylic, red and white, 40x20mm single-sided double-drilled domino. Sold per pkg of 12. 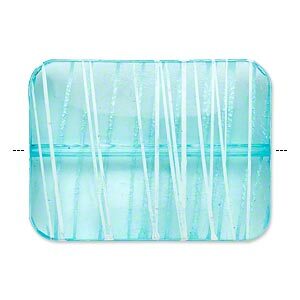 Bead, acrylic, semitransparent blue and white, 40x30mm puffed rectangle with painted line design. Sold per pkg of 12. 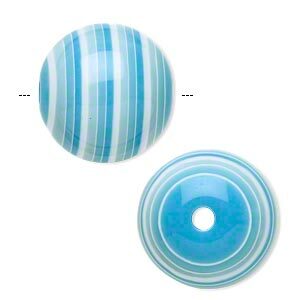 Bead, laminated acrylic, blue and white, 20mm round. Sold per pkg of 20. Bead, acrylic, white and turquoise blue, 8mm round. Sold per pkg of 350. 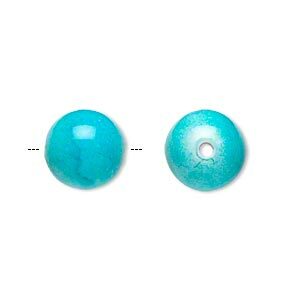 Bead, acrylic, white and turquoise blue, 12mm round. Sold per pkg of 100.